The Ghana Police Service has grabbed an Ivorian for allegedly siphoning GH ¢110,610,000 from CAL Bank Ghana Limited. William Djedehard Anselme Boscaud Dieou, a trader, is alleged to have logged on a CAL Bank Computer and used the credentials of two employees of the bank to debit the said amount from the bank’s internal account and credited same to a customer account. Police investigations further revealed that an amount of GH¢84,991.06 was withdrawn through the use of ATM, while another amount of GH¢170,000 was transferred to six other bank accounts via GHIPSS Instant Transfer Online. Appearing before an Accra Circuit Court, Dieou has pleaded not guilty to charges of conspiracy to commit crime and stealing. His accomplice Wonder Kofi Klutse Fianu, is said to be at large. The court presided over by Mrs Harriet Jane Akweley Quaye has remanded Dieou into Police custody to assist in investigations. This follows submissions by Deputy Superintendent of Police (DSP) George Amega praying the court to remand Dieou into custody to enable him to assist in Police investigations. The accused person is expected to reappear on August 30. 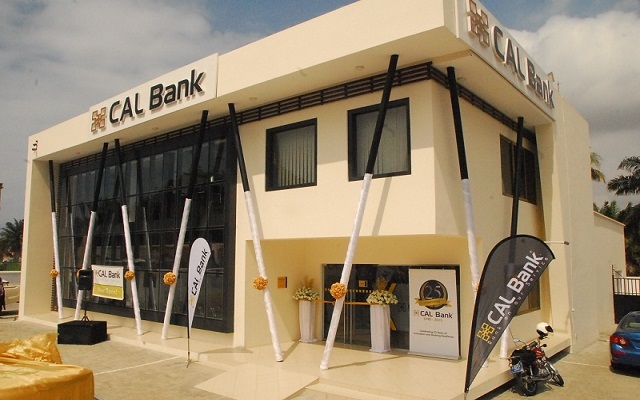 Narrating the facts of the matter before the court, DSP Amega said management of CAL Bank Ghana Limited are the complainants, and that, Dieou, an Ivorian National, resides at Pokuase. Prosecution said on July 5, last year, the bank detected that its internal account had been debited with various amounts of monies totalling GH¢110,610,000, and that, the first three transactions had been deleted from their system. Based on that, DSP Amega said a forensic investigation on the Bank’s network were carried out and it revealed that the suspects remotely logged on a CAL Bank Computer and used the credentials of two employees of the bank to debit the said amount from the internal account and credited same to a customer account. Prosecution said further investigations revealed that CAL Bank account number 1400001446179 with the account name, William Kurt Mensah, was the recipient of the fraudulent transfers. DSP Amega said investigations revealed that an amount of GH 84,991.06 was withdrawn by the account holder via ATM while another amount of GH¢170,000 was transferred to six other bank accounts via GHIPSS Instant Transfer Online. “Police Intelligence led to the arrest of 12 suspects, including six persons whose bank account received the transfers from the accounts of William Kurt Mensah. Some of the suspects had withdrawn the monies transferred into their accounts whiles others, who were in the process of withdrawing amounts were arrested,” prosecutions said. DSP Amega said further investigations indicated that Dieou and Fianu’s name emerged as being the brain behind the transfer but the two escaped. However, following newspaper publications, Dieou was arrested and it has been revealed that the real identity of William Kurt Mensah was Dieou. “Further investigations revealed that Dieou fraudulently acquired a National Health Insurance Scheme (NHIS) Card with the name William Kurt Mensah to open the bank account, whilst Fianu looked out for other bank accounts to receive online transfers from Dieou,” Prosecution added.